Snapshots of lakeside life--gardening, sewing, housekeeping, family, and projects, projects, projects!! One of the things I like to do in the Fall is to attend a Sheep and Wool Festival. This year I went to the Southeastern Animal Fiber Fair near Asheville, NC with Martine. We had a good time shopping the vendors and petting the sheep, goats, llamas and alpacas and rabbits. We each found a few treasurers to bring home. All in all it was an inspiring day. I had several things designed in my mind by the time I had finished the two hour drive home. I finished a class sample this morning, always a good feeling. It is a feathered star. 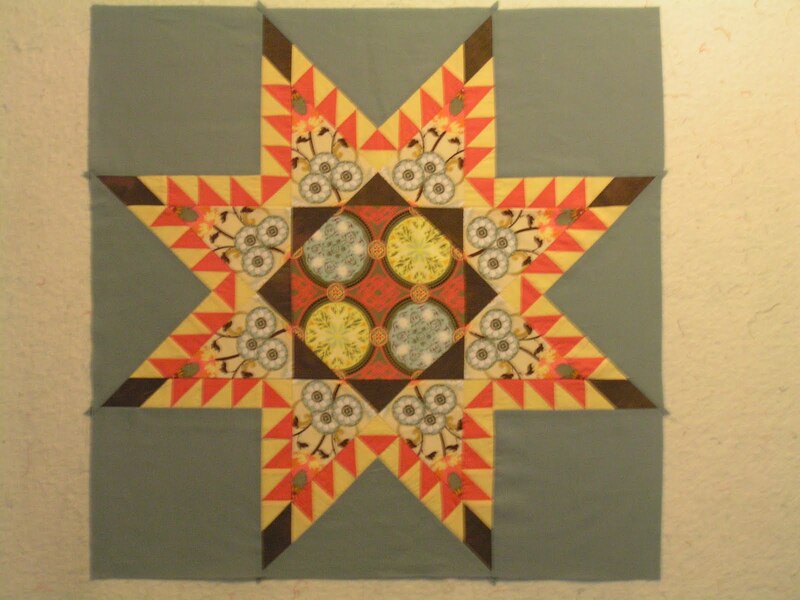 I used Set P of Perfect Patchwork Templates by Marti Michell. 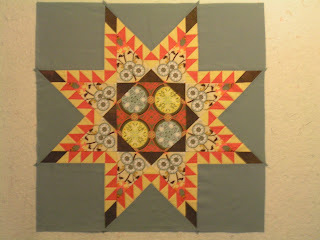 I have started a Christmas feathered star with cardinals in the center. Now I need one more fabric before I can sew that one together. Do you think the one pictured needs a border or two? It is a 27 inch square at present.